The Director of Diversity, Equity and Inclusion will advance St. Xavier’s diverse and inclusive culture through innovative programs, enrollment, marketing, leadership and mentoring initiatives. 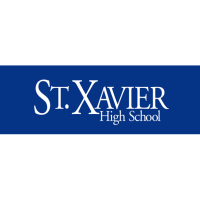 The Director of Diversity, Equity and Inclusion is a 11-month position that is a direct report to the Principal of St. Xavier High School. Work collaboratively with all administration, faculty and staff to create the vision for equity and inclusion at St. Xavier in alignment with the Jesuit tradition. This vision will seek to inspire all members of the school community to incorporate a commitment to peace, justice, growth and positive change into every aspect of their work. Develop initiatives and engage outside organizations to help foster a deep engagement and understanding with the entire student body of the importance and value of a diverse and inclusive school community. Foster a climate and culture at St. Xavier that supports growth and development, success, access, and opportunity for every member of the community. The Director serves as the primary driver to create an atmosphere and culture that is attractive and welcoming to all students, with particular focus on students of color who have historically been underrepresented in St. Xavier’s student population. Partner with leadership and enrollment to help create a culture of trust and comfort where different perspectives are honored and valued. Working with the Principal and Assistant Principals for Academics and Student Services as well as the Dean of Students and Director of Athletics to ensure policies are respectful of all students and are applied consistently and appropriately, recognizing cultural differences and backgrounds. Become a trusted advocate and coach for cultural awareness, competency and change in the everyday life of the school through formal and informal interactions with students, as well as parents, faculty and staff. Partner with the Vice President of Enrollment and Director of Communications to ensure messaging and related materials convey a message of inclusiveness. Develop strong relationships with target area elementary schools to help their students to understand the culture of inclusiveness at St. Xavier. Visit schools, prospective students and their families and participate in key enrollment events. Serve as an active participant on the Admissions Committee and play a key role in Freshman Orientation, Open House, Admissions Testing and other events. Develop strong relationships with current and prospective students to ensure their success in a welcoming environment. Develop and lead programs for students of color, focused on ensuring their experience at St. Xavier is academically, socially and culturally fulfilling, enjoyable and fun. Develop strong relationships with faculty and staff to partner with them in growing our culture of values that welcome all. Work with the Principal and Director of Human Resources to ensure that hiring policies and practices provide open doors for people of color, women and people from all backgrounds and cultures. Provide leadership in educating all stakeholders about inclusion and the potential for growth inherent in a diverse school community. Provide leadership and resources to ethnically diverse alumni and serve as an effective liaison between ethnically diverse alumni and school administration. Serve as the Companion Scholars Program Director. Facilitate the Hands Across Campus and Parents Across Cultures groups. Will include additional responsibility within the building, which could include teaching. Provide evidence of an ability and commitment to furthering the Jesuit, Catholic mission and identity of the school. Have a minimum of five years of relevant professional experience with an advanced degree. Show a demonstrated track record of success in teaching and/or leadership experience in a school setting. The application process will take between 5-15 minutes to complete with your key information available.